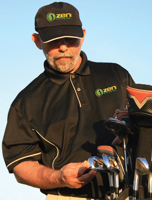 Realizing that golf is even more than a mechanical game or even a mental one, it is always refreshing to find a fellow practitioner such as Arthur D’Agostino who realizes this and is offering something valuable to us golfers. Such is the case with the “Zen on the Green” DVD. The Zen on the Green training approaches golf in three separate segments. These are the mind body fitness, philosophy and psychology, and strategy. 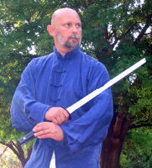 D’Agostino takes his background of more than forty years of Zen and martial arts training in which he won numerous titles to golf. In doing so, he offers mental focus and fortitude, relaxation responses, course management, and practice and development strategies in the first segment entitled Focus Training. 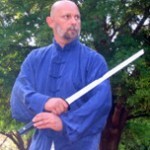 The second segment is Power Training where he applies martial arts exercises and body conditioning including Tai Chi for golf as well as Qi Gong. The third and concluding segment features Focus Meditation whereby you can enhance your ability to play in the moment with clarity under pressure in a 20-minute per day regimen. Having met and chatted with Mr. D’Agostino, we both agree that excellence in golf and life goes well beyond the usual fanfare of mental tips and mechanics that is now being sold as the whole approach to attaining one’s potential. There are energy flows and blockages at the subconscious levels that few sports psychologists and coaches seem to understand let alone include. 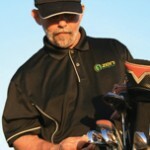 Even sports psychologists would agree that your mind is your greatest weapon in your golf bag and they would be quick to add that it is also your “Achilles’ Heel.” Tying in this Zen training makes for a valuable next step for anyone who wants to take his or her game to the next level, or even enjoy a richer, healthier life. Arthur D'Agostino on the golf course. Zen on the green builds a mindfulness and kinetic awareness of the very real challenges that golfers must face in every round of golf. And the key word is “awareness” for in an awakened mindful state we are able to create a free zone where our actions tend to be freer and more pure. This is the third leg to golf’s three-legged stool that heretofore has been missing. The deep inner power and focus of an internal stillness is just the beginning if you want to improve your golf experience. Your true power becomes much more than just your physical strength. I enjoyed the clear and easy to understand methodology and exercises that Arthur D’Agostino presents. As a novice devotee myself, there was a wealth of information I was able to glean. Better yet, you will too, and the benefits far exceed golf. You can obtain this valuable “Zen on the Green” DVD for only $24.95. Just go to www.zenonthegreen.com to order.